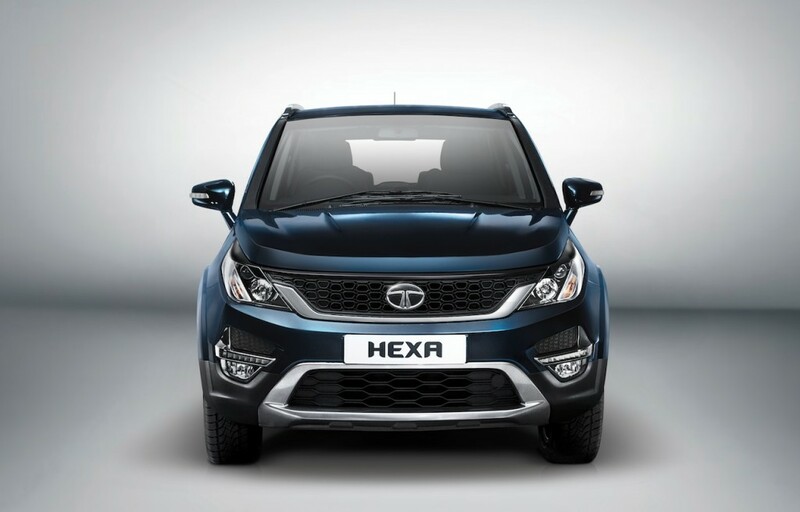 Tata Motors, for the first time, revealed the production-spec Hexa crossover-SUV at the on-going 2016 Delhi Auto Expo. The production-ready car will go on sale later this year, and could be priced in the premium price tag of INR 13-18 lakhs range. 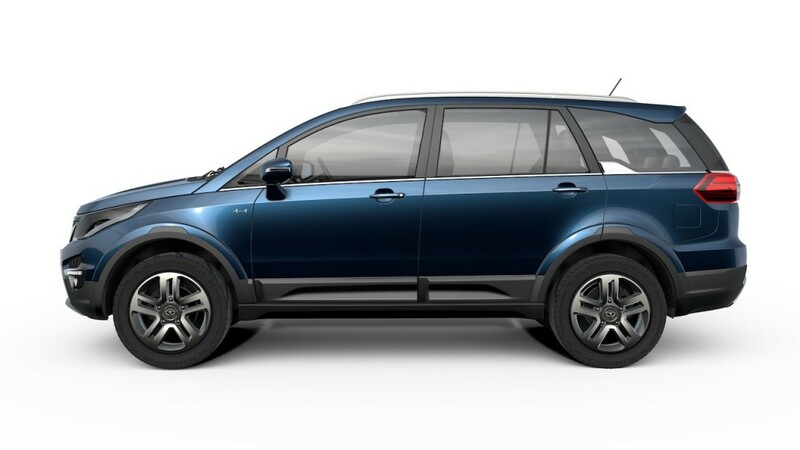 Being one of the products that represent the Tata’s grand comeback after a bit a sprucing ups, the Hexa is expected to replace the mediocre Aria crossover and fight against the likes of Chevy Captiva, Hyundai Santa Fe, just-unveiled Honda BR-V, and SsangYong Rexton along with a host of other SUVs. Basically, the Hexa is based on the Aria’s X2 platform, and relatively benefits from the lightweight and rigid ‘hydroformed’ body-on-frame chassis. Although the car is quite reminiscent of the Aria is quite a few angles, the Hexa tries to look different and feel better. Most of the body panels seems new, though the glass area, roof, and A-pillar prove the Aria’s roots. 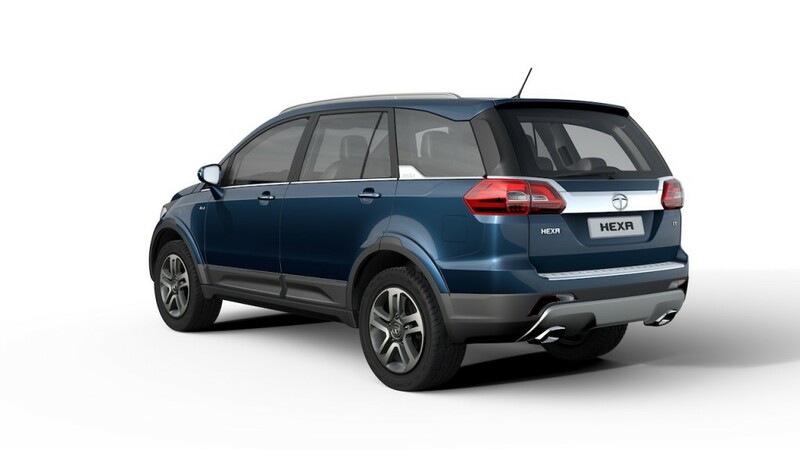 The Hexa has an higher imposing stance than its predecessor, thanks to the its high clamshell bonnet, smart-looking lights with LEDs that flank a wide and slightly squared off grille, beefy scuff plate and protective brushed silver surround on the lower air intake. The floating roof with a wraparound rear glass is unique, along with large scuff-plates in the bumpers, and the chunky 19-inch alloys – all give more of an SUV-ish impression. On the whole, the Hexa is more of an SUV now than a mere MPV. The Hexa could be priced in the premium price tag of INR 13-18 lakhs range. On the inside, the Tata has given an all-new, redesigned seats and dashboard, along with a host of additional equipments than the Aria. Though the cabin is largely familiar, the quality, fit and finish has been greatly improved. The Hexa will come in both six and seven seat configuration. Power to the car is sourced from the 2.2-litre VARICOR diesel engine that can make a decent 156 PS and 400 Nm of torque. Choices of a 6-speed manual or a 6-speed automatic transmission will also be open to buyers. 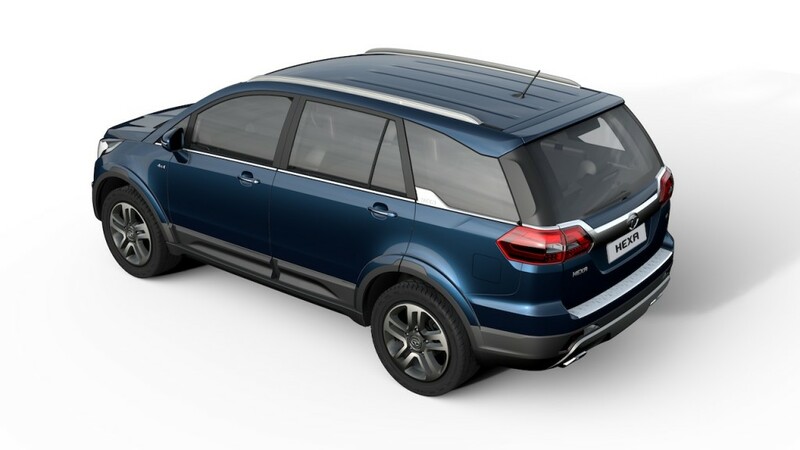 The Hexa will feature four driving modes – Automatic, Comfort, Dynamic and Rough-Road. Other equipments include Electronic Stability Program, ABS with EBD, Traction control, Cruise control, an 8-way adjustable driver’s seat, leather upholstery, 6 airbags, multi-functional steering-mounted controls and a Harman-designed 5-inch touchscreen infotainment. 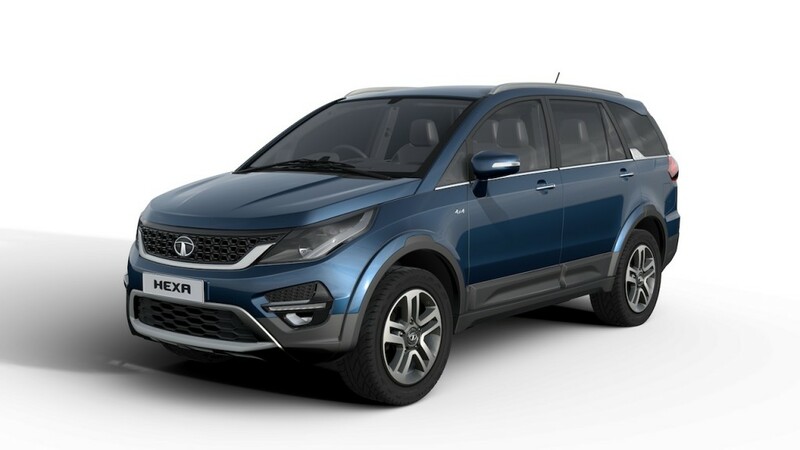 Along with the regular model, Tata has also previewed the Hexa TUFF personalised edition at the show, in addition to the debutante cars such as the Tata Kite 5 compact sedan and the Nexon production-spec compact SUV.